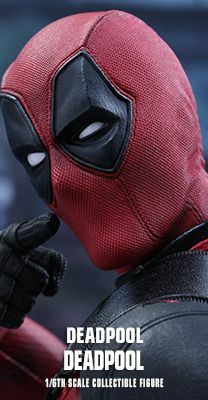 Created initially as a supervillain but later evolved into his more recognizable antiheroic persona, Deadpool, has been a popular character in Marvel Comics with his mischievous sense of humor and utterly fearless to break the fourth wall! 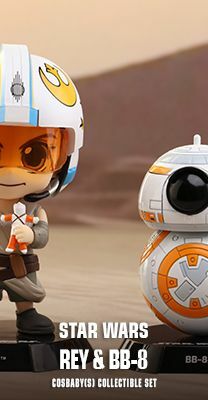 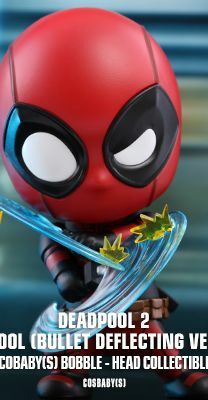 Today, Hot Toys is thrilled to expand the fan-favorite Cosbaby Bobble-head series with Deadpool from Marvel Comics where he formed the Deadpool Corps of several alternative versions of himself from alternate universes namely Lady Deadpool, Kidpool, Dogpool and Headpool. 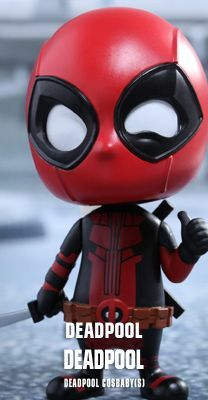 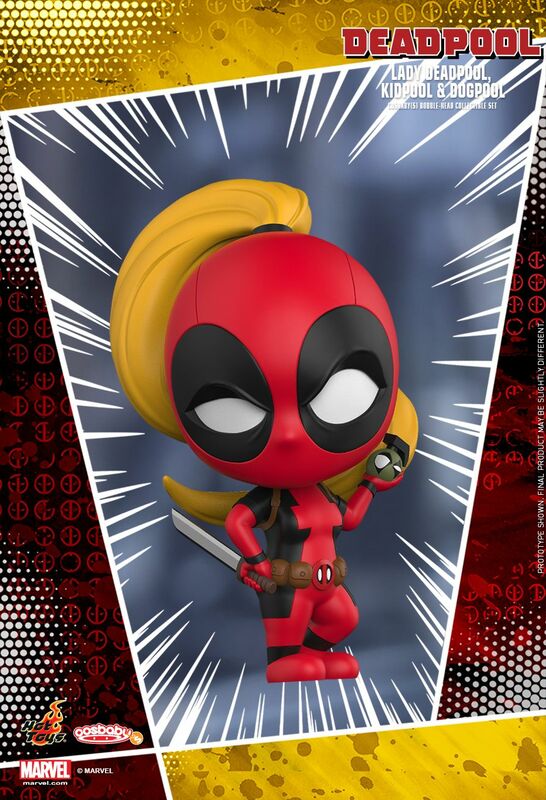 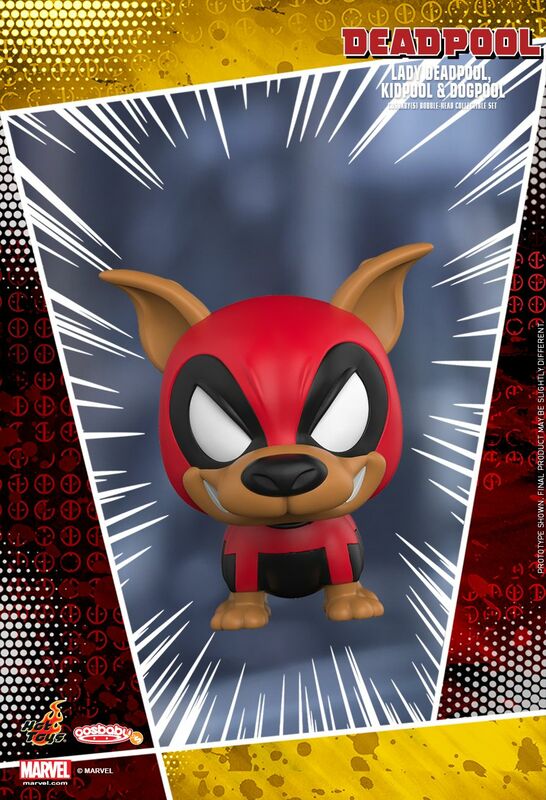 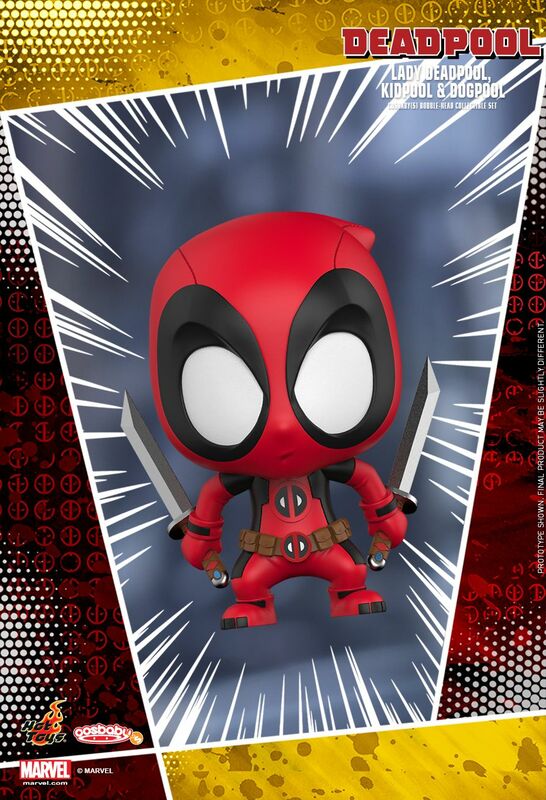 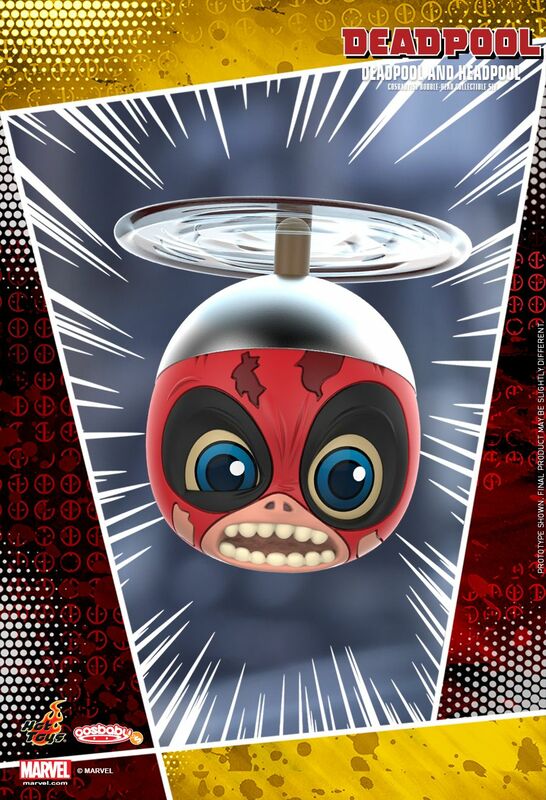 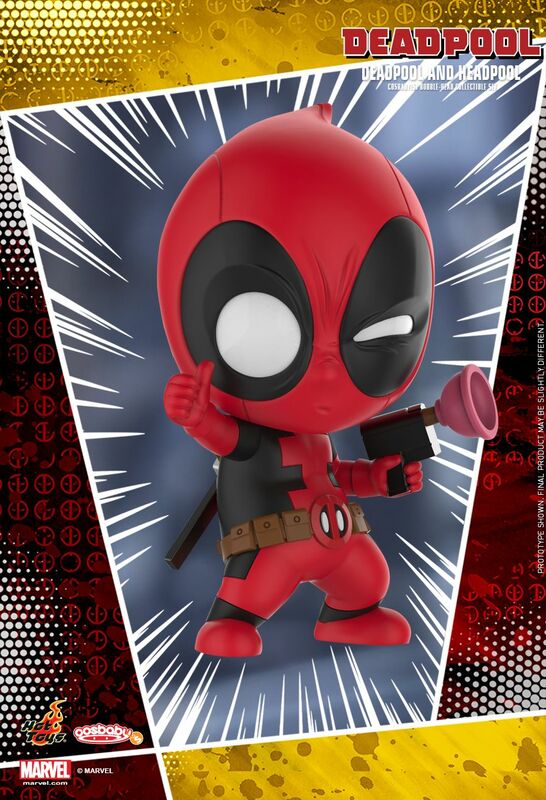 The Deadpool Cosbaby Bobble-Head Series stand approximately 7 – 9.5 cm tall with bobble-head function including Deadpool, Chef Deadpool, Lounging Deadpool, Lady Deadpool, Kidpool, Dogpool and Headpool. 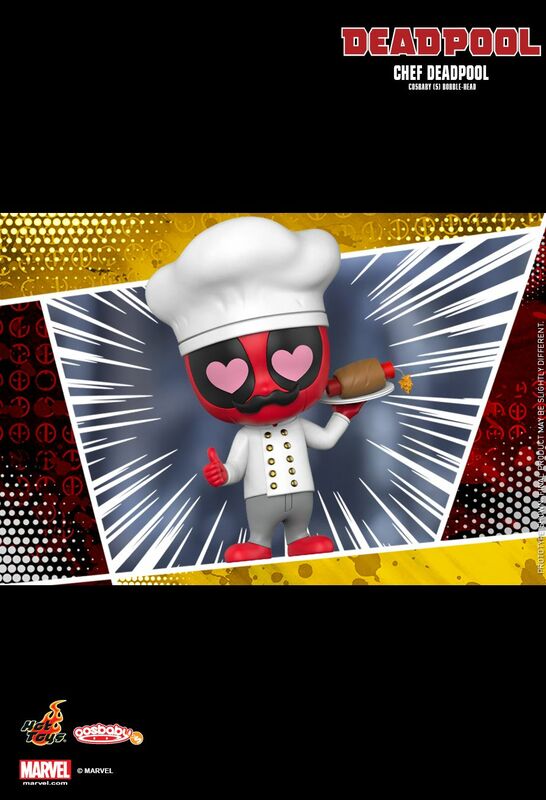 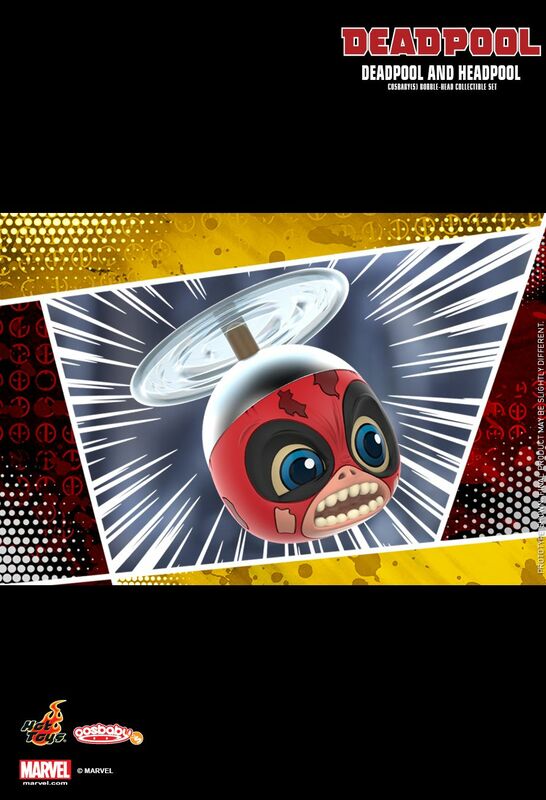 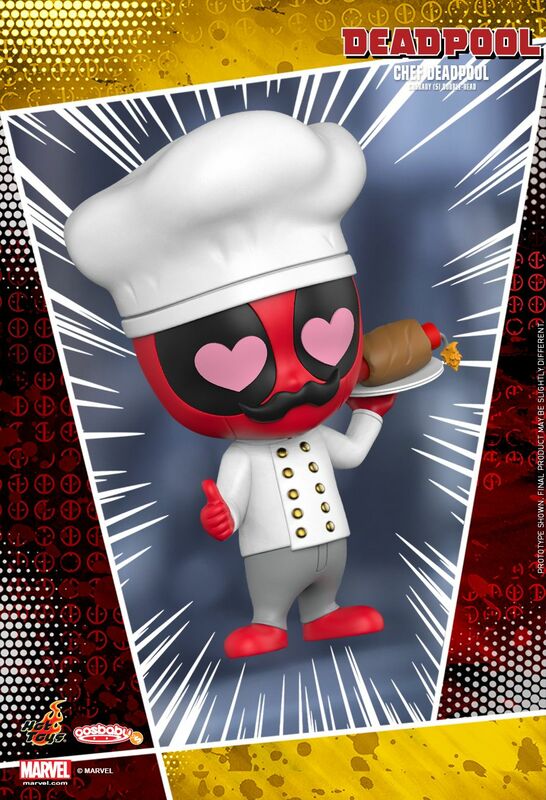 Fans have to watch out for this adorable chef-hat toting Deadpool with the heart-shaped eyes and mustache, dressed in a white double-breasted jacket and is holding an explosive dynamite chimichanga. 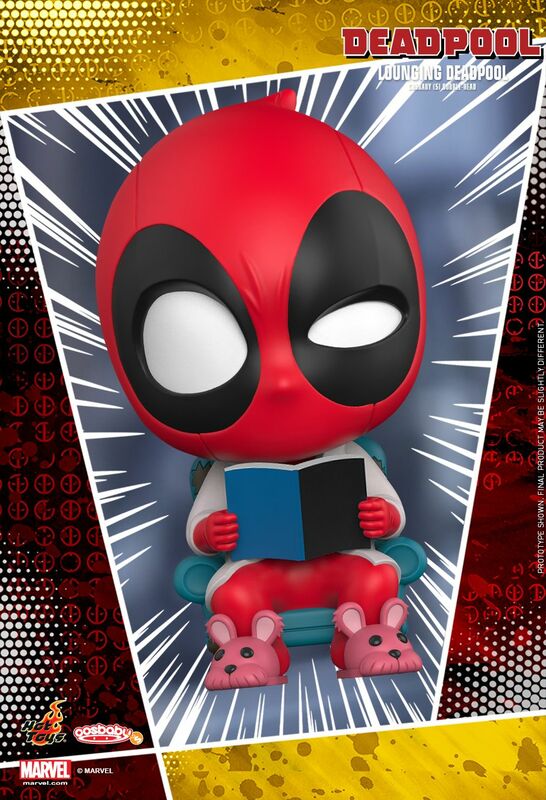 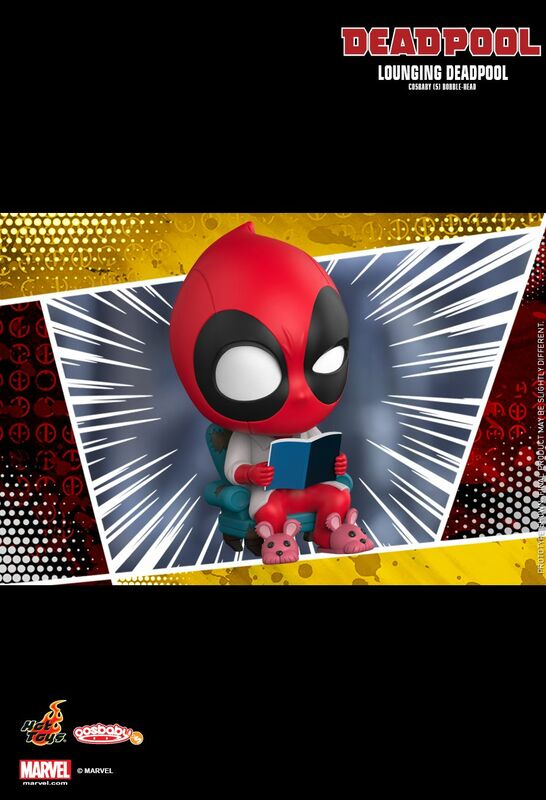 In addition, Lounging Deadpool who is wearing a pair of pink-colored rabbit slippers sitting on a blue sofa with a book is also available in this series. 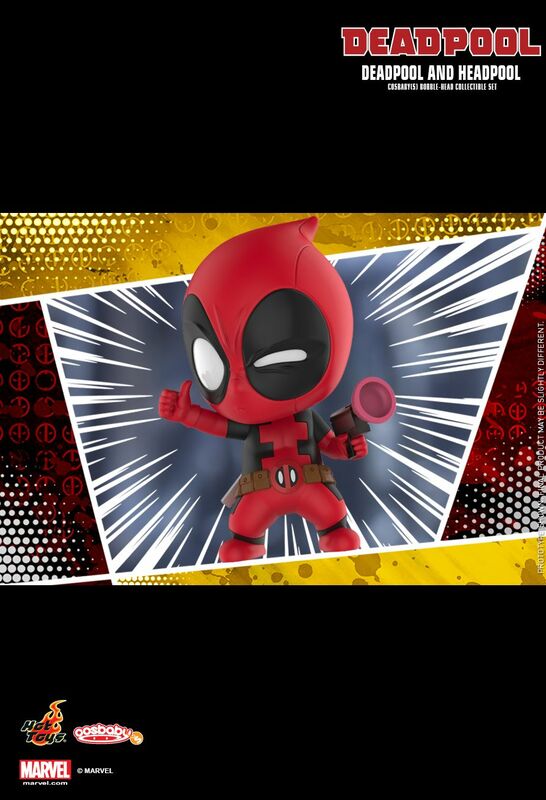 Two amazing sets featuring the members recruited by Deadpool are offered to fans to complete the Deadpool Cosbaby collection. The first set of two comes with a thumbs-up Deadpool holding a super cool plunger blaster and Headpool wears a propeller hat. 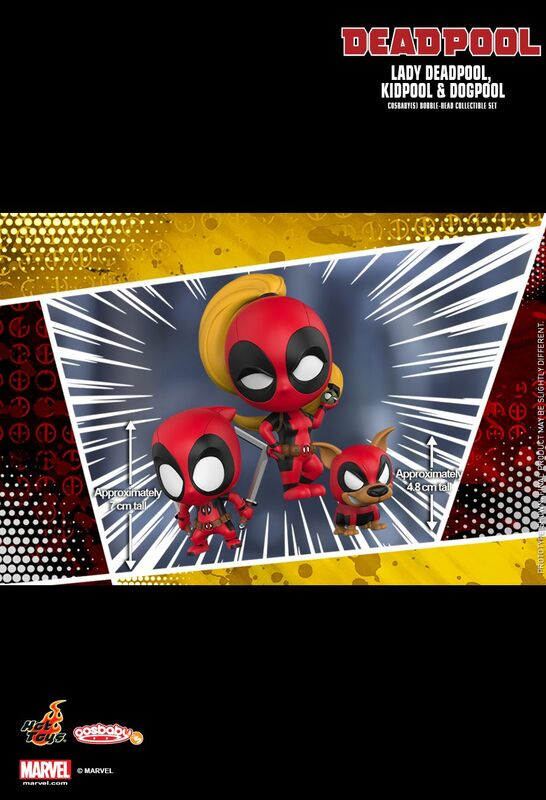 Another set of three includes a ponytailed Lady Deadpool wielding a katana and grenade, Kidpool with two blades and Dogpool in the remarkable red and black suit. 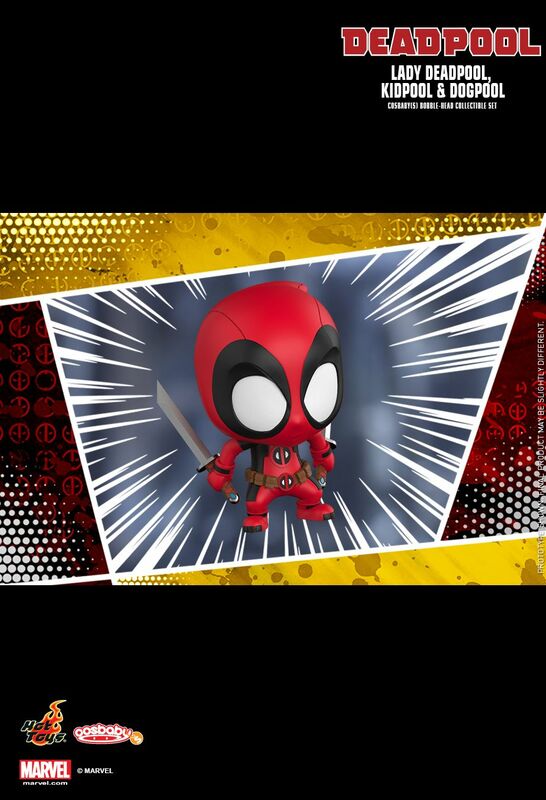 Don’t pass up on the special opportunity to add the stylish Deadpool crops to your Marvel Comics home display!